Aug.12.2016Topeka, Gainesville, Fontana Classes Coming Up! This is the first year we are taking our classes to Heartland Park Topeka! 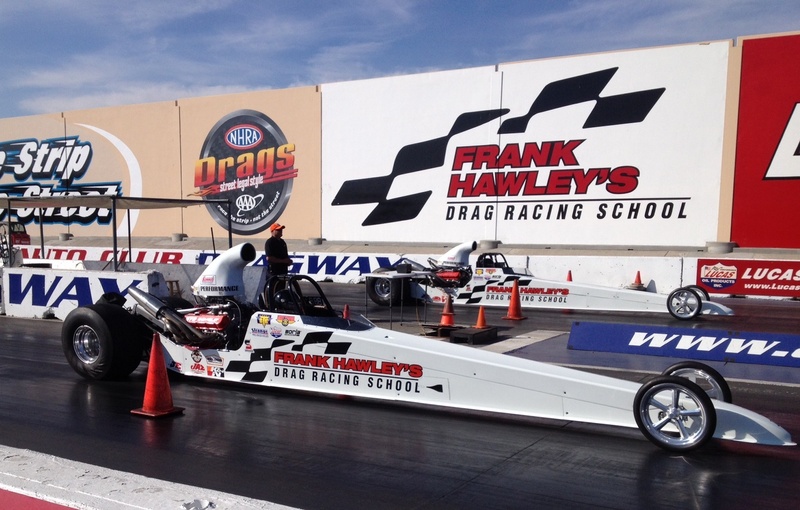 There are still seats left in both the popular 2-day Super Comp/Super Gas/Bring Your Own Car class on September 7-8, as well as the fun Dragster Adventure on September 9. Then we’ll be heading back to our home track of Gainesville Raceway for some 200 mph action in the Nostalgia Funny Car and Top Dragster, as well as the SC/SG/BYOC class on October 4-5. Remember, the tuition is $500 less on the 2-day Super Comp/Super Gas program in Gainesville! Mid-October we’re off to Auto Club Dragway! In addition to a special program for the Fontana Chamber of Commerce, we’ll be running our SC/SG/BYOC class on October 19-20. Only a few seats are left in this class. The Dragster Adventure on October 21 has been sold out for some time, but there are still a few spots left on October 27 and October 28. Call on our knowledgeable staff if you’re looking to earn your license, upgrade your license or get started in racing. They will answer any questions you may have or help you reserve your seat in any of the programs we offer. The Super Comp/Super Gas class has proved to be an incredibly good starting point for so many people who are racing! The competition license classes are taught personally by Frank Hawley and include the popular Personal Performance Development lectures. We have so many grads competing in everything from the NHRA Pro classes, NMRA, NMCA, IHRA, Jet Dragster, and local racers! Dates for the 200 mph cars are on request and previous fast car experience is required. Remember, pre-registration is required in all our classes and seats are limited.